The Graphics department works directly with AFP’s editorial departments to provide the top news stories in illustrated format. 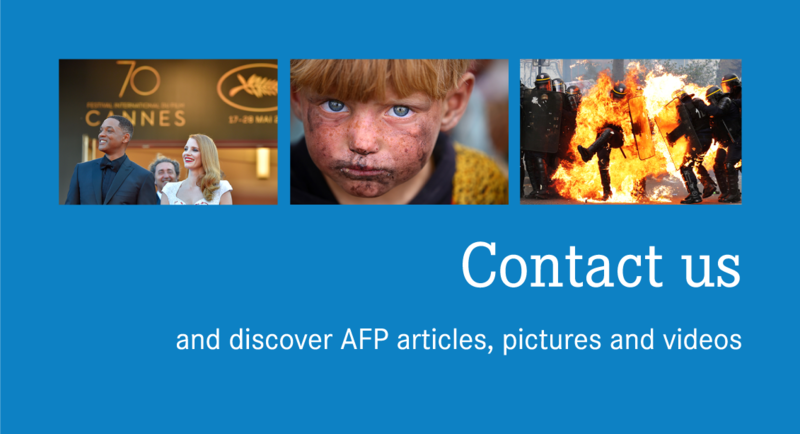 AFP offers a fast, reliable service in 6 languages (English, French, German, Spanish, Portuguese and Arabic), providing immediate and in-depth understanding of the news through clear visuals. AFP Graphics are designed for the written press, websites and mobile applications and cover the main news stories, financial markets and major sports events, with special additional production for other important events. The news is presented visually using maps, graphs and charts, timelines and biographies, technical datasheets, diagrams and country profiles, etc. All graphics are supplied in editable format to enable translation, modification to comply with the client’s visual chart, or to extract sections to use in other graphics. Unlimited and capped subscription packages provide access to the complete service. Graphics also available individually. Real time access to content (10 days) and/or to the Archives. Graphics are available in .ai, .eps and .jpeg formats. ImageForum web platform: available worldwide, 24 hours per day, 7 days per week. Full feed delivery via Satellite (integrated with customer system or use of the AFP’s reception system). Full feed delivery via FTP. AFP Forum is a web platform designed for the press, websites and companies. Subscribers enjoy real time access to all Agence France-Presse Photo content, and to the collections of over 30 prestigious partner agencies.